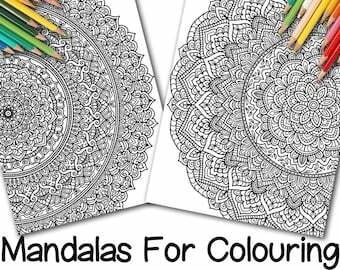 A beautiful, floral geometric mandala line art illustration for colouring, provided as both the solo mandala, and the mandala repeated into a pattern across the full page. 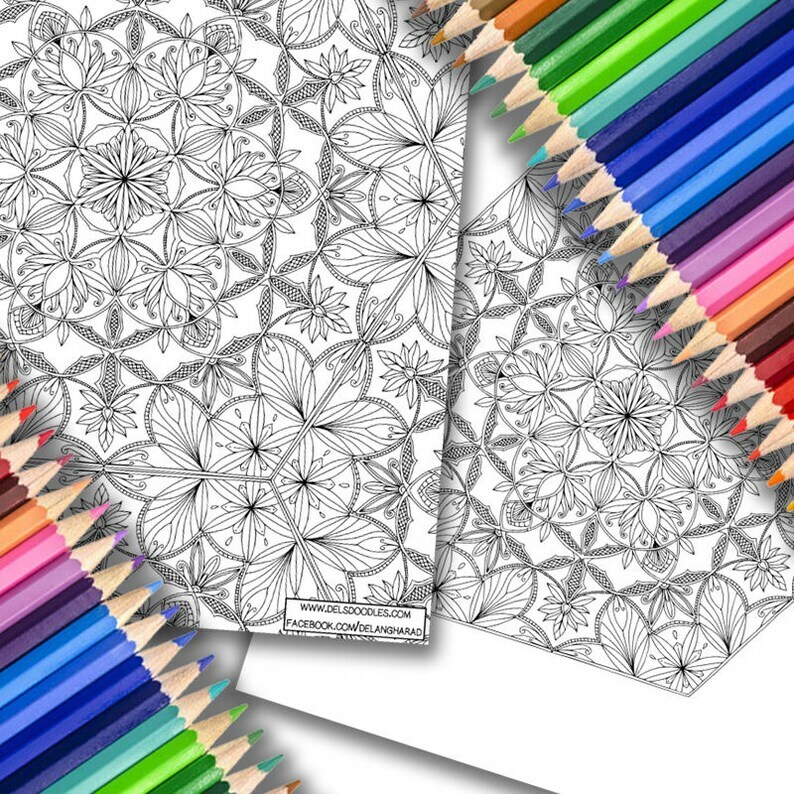 Suitable for printing on A4 paper (210 by 297 millimetres) and USA office paper (8.5x11 inches), but the pattern is detailed enough to be printed on larger paper while still providing a fun, intricate colouring experience. NOTE - this is a digital download; you will need to print the images yourself to colour. These are nicely detailed, intricate patterns, yet they are colorable with a colored pencil that has a fine point. They print beautifully, and I got the files immediately. This is a new 'Favorite Shop' of mine. This is a fantastic purchase. Not only do you get 30 'Eclipse Mandalas', but you get the 30 printouts of the whole mandalas This was nice surprise, and a fabulous bonus. The whole mandala fits on normal-size copy paper, but it is much more intricate. The 'Eclipse Mandalas' are plenty intricate, but bigger. The all print out nicely with sharp, clear lines, and the files were available immediately. Love the detail in these!